The Eastern State Hospital Cemetery Preservation Project, founded by dedicated members, Phil, Mary and Bruce, was established as a means to name the lost and forgotten patients buried at the cemetery. Given the age of Eastern State Hospital, centuries of burials have taken place. Many of the patients buried there have been relegated to oblivion. There were a number of reasons that patients might have been buried at the hospital. Among those are that the indigent insane, and, often, their families, lacked the funds to provide a proper burial or were unable to travel to get their deceased loved one and bring them back. According to a 1975 investigation by a private firm to help identify the final resting place of a former patient, we have learned of the process used in the final disposition and interment of patients. A tin can was filled with concrete, which was then inscribed with an identifying grave number. This tin can, with the number, was placed at the head of each grave. Unfortunately, it’s believed that these cans would have disintegrated within a very short period leaving the patient nameless. In the 1940s, the Grave Registration Service of the US Army traveled to the hospital’s cemetery on a training mission preparing for war-related assignments. The GRS was unable to identify any gravesites. Embalming was not used at the hospital and a simple pine box was used for interment without a vault. According to the report, it would’ve taken approximately four months for the body to oxidize to the skeletal process this way. Three patients from the hospital were assigned to burial detail; Mr. Swan, Mr. Coleman, and Mr. Nicholas. According to the researchers investigating, it was reported that Mr. Swan knew precisely the location of over 200 graves at the hospital. Unfortunately, at the time researchers interviewed Mr. Swan, he was in such poor physical and cognitive decline that was unable to provide any further details. 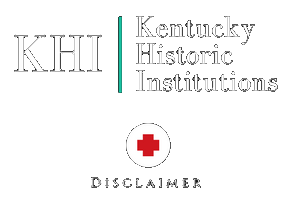 The group has devoted as much time as possible to help ensure that these forgotten patients get dignified burials and were instrumental in getting the Commonwealth of Kentucky to establish a new memorial on the grounds of the (old) hospital where it remains today. It is generally accepted that 4,000-6,000 patients were buried on the grounds of Eastern State Hospital. However, it is posited by some that as many as 10,000 patients were buried there in its nearly two-century history.There’s still a lot of work left and the members of this project, new and old, will continue to fight for the nameless. Contributed by Phil T., Mary H., Bruce B. and Shawn L.